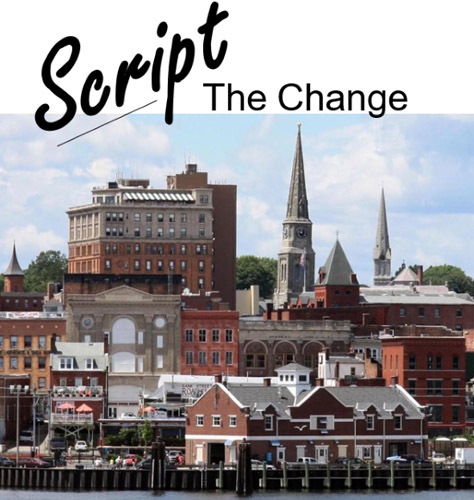 As one of its first major project launches, HEALTHspital is offering to serve as the local host and convener for Script the Change – a three day immersive community experience of hope, healing, awareness, and understanding, addressing the opioid crisis in New London County, Connecticut. The opioid crisis has been designated as a national emergency and it continues to ravage Connecticut and is currently devastating individuals, families and every segment of New London County. What better cause than this for introducing HEALTHspital’s model and approaches? It’s a cause near and dear to me, my friends, my family and the community about which I care deeply and have served for years. * NOTE: The current NIH model is that of Volkow / Goldstein and other esteemed contributors named IRISA ( Impaired Response Inhibition and Salience Attribution ). The brain dopaminergic pathways have been mapped from the nucleus accumbens to the ventral tegmental area ( VTA ) with final common localization in the pre frontal cortex . This maps what has been referred to as the reward / pleasure pathway . In my TEDx Hartford talk of December 4, 2018 (https://youtu.be/gWptzCL_W0U), I offered a novel approach - PSAADS © (PSychoActive Addictable Disorders Spectrum) model. This model builds on research with living brains through the tools of fMRI, PET scanning, DTI (Diffusion Tensor Imaging), and connectome mapping. - Using IRISA for funding of research has yielded Narcan and MAT bridging treatments and intervention therapies - saving lives and allowing time for healing and recovery. This crisis seems overwhelming, complex, and insurmountable, but I disagree. We can assemble ALL existing stories of individuals, valued constituents and invested stakeholders in the New London County community. Combining those stories with the best evidence re: addiction and that status of the problem in the community we can come join together to “SCRIPT THE CHANGE”. Everyone interested, involved , invested , and committed could take a moment, a day or more to pause, cogitate, reflect, introspect, dream, and idealize on our amazing brain. We will then co-author our new constitution/working document/paradigm/blueprint with full transparency, on all topics – with successes and barriers, difficult and obvious, great and small, quantum and cosmic . These topics will be openly addressed and placed on the common table. Then we will, as a grassroots effort using commingled energy flows and codesign, co create our specific solutions - our New London County “ Play In A Day “ for us to pragmatically use. And for the world to see. Why the Title Script the Change? In 2018, the Connecticut Department of Mental Health and Addiction Services launched its Change the Script program. It is a statewide public awareness campaign to help communities deal with the prescription drug and opioids misuse crisis. It connects town leaders, healthcare professionals, treatment professionals and everyday people with the resources they need to face prescription opioid misuse - and write a new story about what we can accomplish when we all work toward a shared goal. The DMHAS program is a public information and awareness campaign and, as it’s intended, is one tool in the arsenal dealing with the opioid crisis. However, based on the science of the addictable brain, its neuroplasticity characteristics, the individual underlying causes of addiction, the current fragmentation of community interventions and programs and the absence of a community wide conversation re: this crisis in New London, Dr. Maletz coined the term Script the Change for HEALTHspital’s inaugural event. The focus of the new title indicates the power and significance of inviting a community to rewrite its script and community narrative for addressing the opioid crisis. This is a focal point with our unique problem with a New London County co-created community solution. The story we tell ourselves is human scripted. It’s time for a new script without exogenous drugs and behaviors of addictability. It’s time for a new script and time for a new story. A community story of hope, healing, awareness, understanding and action written by the New London County community. HEALTHspital, together with its partners Story Bridge and Aquarian Technology Systems has conceptualized, researched and framed this unique and proven community engagement event and process for facilitating the New London County, Connecticut community to share, listen, experience and create its narrative, story and action agenda for solving its opioid and addiction crisis. This event is like no other that’s been organized in the New London County region and, therefore unfamiliar to most individuals and organizations. It will require a commitment of time, energy and participation and also non-traditional commitment of resources to carry out. Story Bridge is a proven and sustainable method for community engagement that will plant the seeds of change in each participant and provide the nutrients for wellness in the county.